OWN A PIECE OF NEW ORLEANS HISTORY! 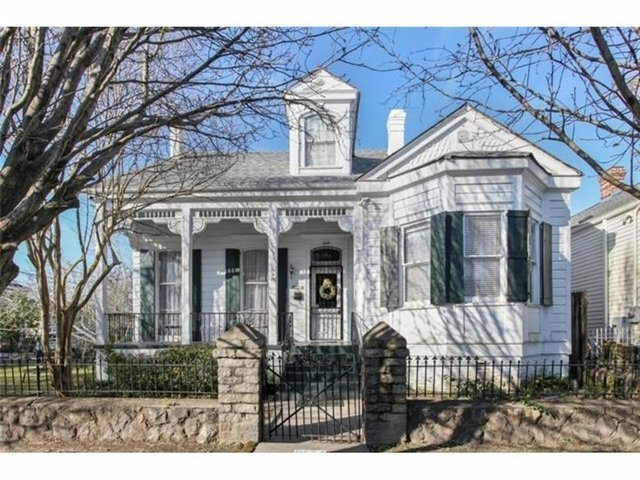 THIS BEAUTIFUL HOME ON CORNER LOT WAS BUILT IN 1868 IN THE DESIRABLE UPTOWN NEIGHBORHOOD! WALKING DISTANCE TO PARADES, SHOPPING, BARS, AND RESTAURANTS! 12 FT CEILINGS, ORIGINAL MEDALLIONS, AND HARDWOOD FLOORS! HOME HAS A BED AND BREAKFAST LICENSE FOR UP TO 3 ROOMS! HOME WILL BE SHOWCASED ON AN UPCOMING TV SERIES ON HGTV!